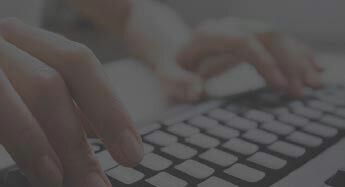 We at Data Entry India, provide outsource invoice processing services to automatically handle & process credit notes, supplier invoices & accounts payable information, to organizations globally. Our automated invoice processing workflow, backed up with web based invoice approval procedure; empowers us to process purchase invoices (from receipt to payment) - fast and accurate. We are the invoice processing specialists with daily 100k invoices processing capabilities, for more than 250 B2B and B2C customers across the globe. We combine process excellence with leading invoice automation technology to minimize cost and maximize agility of financial processes. Validating Data for the Correct Code, Value etc. We help you track & pay in time for the invoices raised by vendors, saving them from adverse impacts on business credibility and authenticity. We analyze all incoming invoices and precisely locate data on every invoice. Our automated image cleanup, powerful character recognition technology (OCR) with built-in recognition rules helps us to capture invoice data with high accuracy. 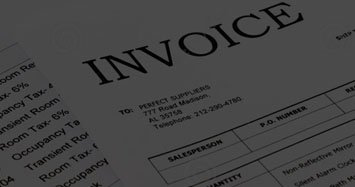 We extract key invoice information including purchase order number, vendor id, invoice date, supplier name, invoice number, VAT number, etc., from single or multi-page invoices and from various suppliers, globally. Several companies from various industries including Ecommerce / Retail, Real Estate, Consulting & Professional Services, ITES (Computer Software, Market Research and Data Analytics), transportation & Logistics, BFSI, Healthcare have benefited through our outsourced invoice processing services, so why not you? Donation Payment Process - Credit and Debit Repair Scan line Processing; Complex Task Streamlined by Data Entry Indiaâ€¦!! !